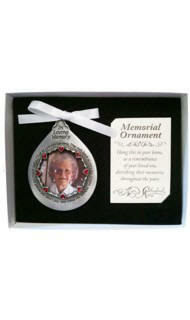 Remember your loved ones during this Christmas holiday season with our selection of memorial Christmas ornaments. 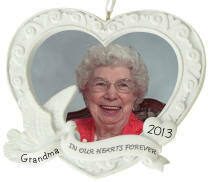 Many of these memorial ornaments are a great gift of comfort during this holiday season. Memorial Christmas ornaments are cherished gifts that always bring back happy memories and are a thoughtful gift for a family member. 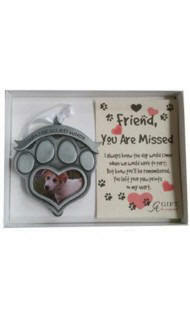 Also available are memory ornaments for pets. Personalized memorial ornaments are always a great gift to give to those who want to think of their family during the holidays and give a unique holiday gift. We make personalized Christmas ornaments that can include names and dates. Personalize for an additional $5. 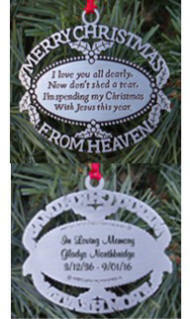 This Christmas from Heaven ornament will bring some comfort to a family that has lost a loved one. Customized with the loved one's name and dates it will be a treasured gift. Automatic quantity discounts will ring up in shopping cart. on the back of the Merry Christmas from Heaven Ornament. Automatic quantity discounts will ring up in shopping cart. This custom lettered gold Merry Christmas from Heaven Ornament will have a special place on your tree every year. This ornament can be personalized directly on the back (not on a plate). Ornaments can be combined on the same order for the quantity discount, even if they are not customized the same. This ornament is so special, it is packaged in a beautiful red gift box, with a red liner. Automatic quantity discounts will ring up in shopping cart. on the back of the Gold Merry Christmas from Heaven Ornament. A beautiful and meaningful bereavement gift that will be treasured. This ornament has a place for a loved one's photo. Packaged in a keepsake gift box, along with a card containing the complete "Merry Christmas from Heaven" poem. 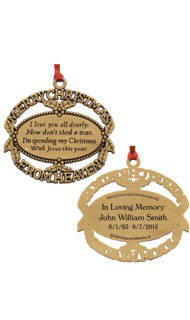 The back of the ornament may be personalized by engraving on the attached plate with two lines of lettering. Automatic quantity discounts will ring up in shopping cart. The perfect way to remember your loved one on your Christmas tree. 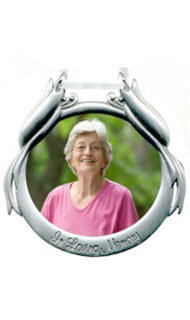 This beautiful pewter ornament holds a photo and can be personalized with engraving. Tied with a red satin ribbon and decorated with red and clear crystals. Gift boxed with a poem card. We engraved on the area beneath the photograph. In Loving Memory Photo Orn. 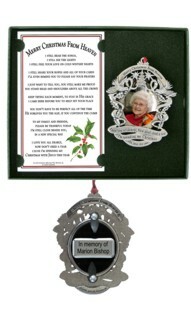 A beautiful pewter memorial ornament photo holder. We engrave on a plate attached to the back of this ornament with up to two lines of text. Keep the memory of a loved one close to your heart. This simple heart shaped photo frame will hold a picture of your loved one. 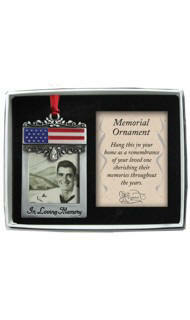 Personalization of this memorial ornament is included in the price. If you loved one served in our military, or was a true patriot, it may be fitting to memorialize him or her with this touching photo ornament. Gift boxed with a special message card this is a thoughtful memorial gift. We offer engraving on a plate attached to the back of the ornament. Ornament is 1 3/4 in x 1 1/8 in. 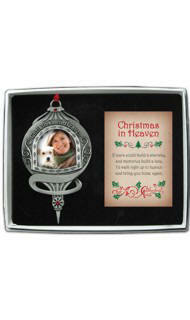 Keep the memory of your beloved dog close this Christmas with a photo holder ornament. 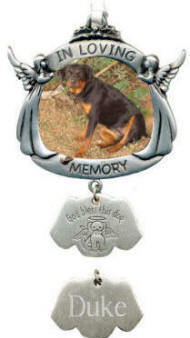 The pewter charm reads "God bless this dog" and has an angelic dog image. We engrave on the back of the pewter charm.